As it turns out: we got the job!! Thanks, Tim! I heart you, 4 reelz. Does Sir Hamilton do all of his layouts in markers / pens like that? Must be very freeing. Does he lightbox? 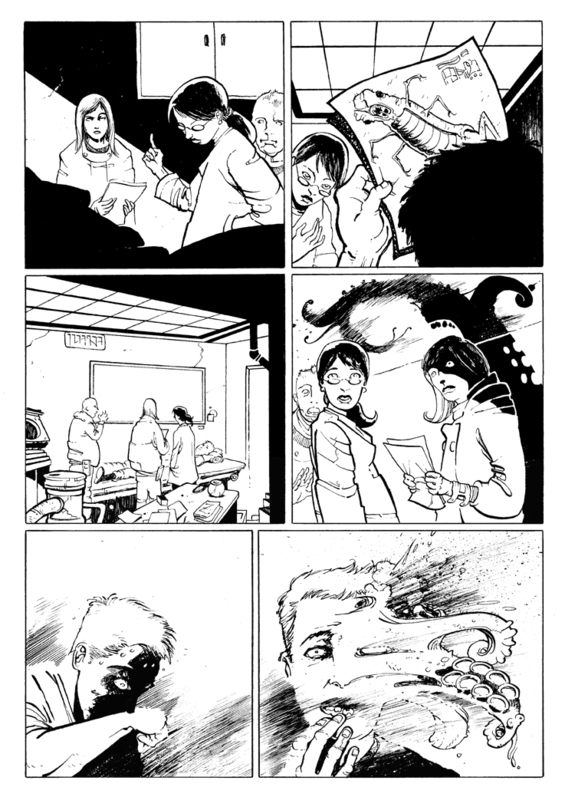 Your inks look great man. Yes, Tim draws his layouts with markers, at the speed of light and blindfolded! They look more complete than some comics on the market. 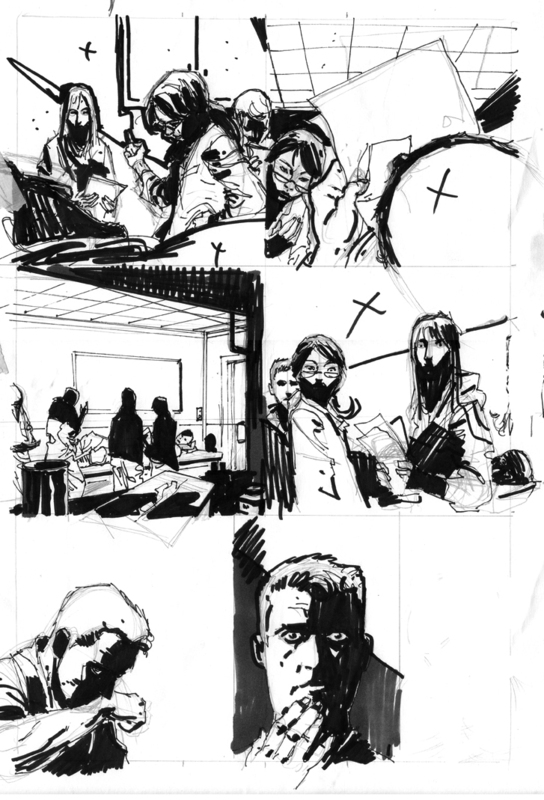 For this project, though, the layouts won’t be as detailed as they are here. I assume he lightboxes some of the time, but I had to use one in order to finish this page. I can’t wait to ge started on the comic! He draws layouts like THAT in marker? “Layouts.” That third panel of his is absolutely perfect how it is. Your fifth panel comes pretty damn close, though, I have to say. The most impressive thing about your artwork is how distinct your style is to you. Dean said once he could spot a “Fiffe” from a mile away- so true. You’re just lucky your style is so damn sublime. He thanks me now! Just wait a month when you’re still up working til 2 am! Congrats on the Cthulu gig! You guys will make a killer team. My style may be reduced to a series of shortcuts due to the deadline on this project. I had to include tentacled monster type things for this sample in order to show that I could draw monsters. Dean was feeling nice that day. Feel free to believe every single thing he says. …and YES! Tim does layouts like that, then throws them away! Mine look more like stick figured doodles, if any at all. Oh, My GAWD. You’re totally in Germany. I totally wanna go. I miss yer pretty face, pal. You weren’t here long enough last time. Forget you; leave me out of your world! I’m up til 2am anyway. Just not, y’know, drawing comics or anything like that. Ah-hahahahahahahahh—uhhhh. Thanks, onlypapermoon! I hope it turns out well. I’m not too familiar with Cthulu, though. That’s a Pokemon character, right?